Spray foam guns are valuable tools for Spray Polyurethane Foam (SPF) insulation contractors and application professionals. They are essential to the process of applying sprayed materials. The spray foam gun dispenses and applies the mixed materials from the proportioning machine. The spray foam gun mixes the materials during the spraying process. This process must happen quickly, or the combined materials will immediately start to harden. For this reason, it is important that no materials be allowed to remain in the spray foam gun for any lengthy period. Excess material can be removed from a spray foam gun through a process called “purging.” Spray foam guns are categorized by their specific purging process. A mechanical purge spray gun has a valving rod within the mixing chamber. This rod keeps each chemical area separate before use. Pressing the trigger pulls back the rod from the chemical areas in the chamber, and they are released and mixed. Releasing the trigger lets the valving rod return to its original position. This action purges any remaining material from the chamber of the spray foam gun. 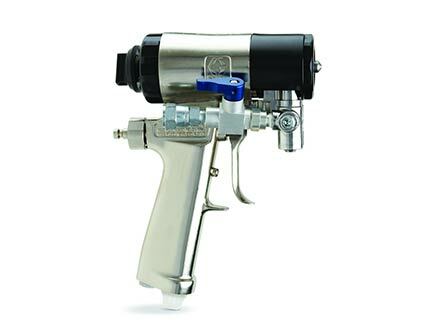 With an air purge spray foam gun, pressing the trigger moves the mixing chamber allowing the chemicals to be combined. Releasing the trigger results in a blast of air which discharges any remaining materials from the mixing chamber. A solvent purge spray foam gun requires SPF contractors to use a solvent chemical to prevent any chemical reaction. The solvent also flushes out any materials remaining in the spray foam gun. 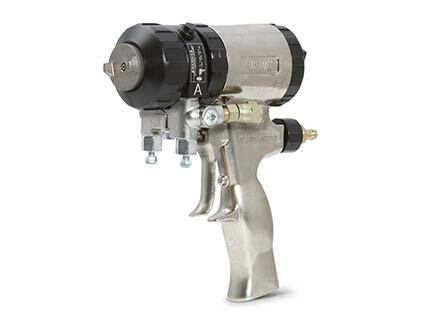 Spray foam contractors commonly use this type of spray foam gun for polyurea and two-part urethane coating applications. 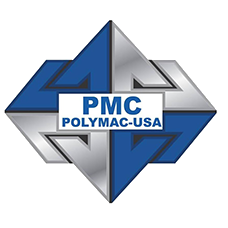 The PMC AP-2 spray gun is lightweight, and comes with a coating on the outside to make cleaning the gun as easy of a process as possible. The AP-2 is one of the lightest and lowest priced air purge spray guns on the market. 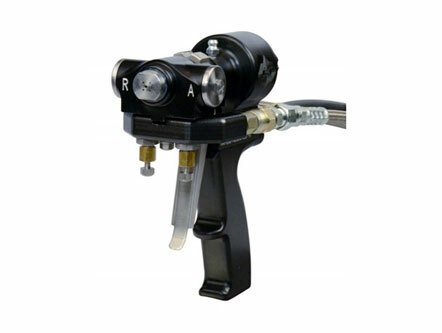 Visit our online store to see the wide variety of spray foam guns we offer at Intech Equipment & Supply.